A pioneer in bringing mindfulness to the West, Zen Master Thich Nhat Hanh has inspired generations of people to learn to live with peace and joy, fully awake to the present moment. Nominated by Dr. Martin Luther King, Jr. for the Nobel Peace Prize in 1967, Thich Nhat Hanh teaches us that the way to peace and happiness is through personal transformation, and that mindfulness is the key. This fall of 2015 we invite you to join Thich Nhat Hanh’s community of over 70 monks and nuns on retreat, at public talks, and for single-day events, where you can experience the miracle of mindfulness for yourself. Each event provides an opportunity to learn the art of mindfulness, to deepen your mindfulness training, and to taste the joy and peace of practicing as a community. This tour we will be celebrating the 40th anniversary of Thich Nhat Hanh’s first book on the practice of mindfulness, the bestselling “The Miracle of Mindfulness,” which continues to be timely and relevant today. Originally written in Vietnamese in 1974 as a long letter to young social workers facing difficult and stressful circumstances during the Vietnam War, his simple mindfulness practices still show all of us how we can maintain calmness and awareness amidst active daily lives. In November 2014, Thich Nhat Hanh, now aged 88, suffered a stroke, from which he is slowly and miraculously recovering. It has been his aspiration to build a “beloved community,” a shared dream he and Dr. Martin Luther King, Jr. discussed in their last meeting. 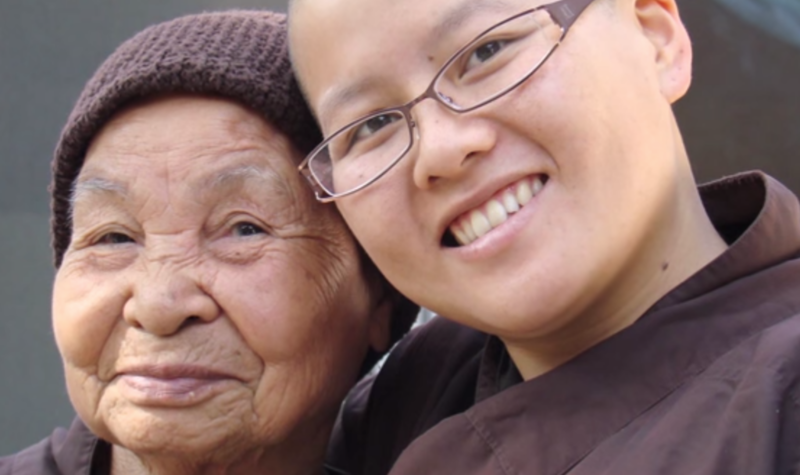 With eleven monasteries, over 600 monks and nuns, 1,000 local mindfulness practice communities, and tens of thousands of students worldwide, that “beloved community” is alive today, applying Thich Nhat Hanh’s teachings on mindfulness, peacemaking, and community-building in homes, schools, and businesses throughout the world. Join us this fall, and learn from Thich Nhat Hanh’s beloved community how you can bring the miracle of mindfulness into your daily life. Tour dates in New York, Mississippi, and California.